Only 2 2WD LT models left in stock! Satellite Radio, Back-Up Camera, WiFi Hotspot, Onboard Communications System, ENGINE, 3.6L DI DOHC V6 VVT, TRANSMISSION, 8-SPEED AUTOMATIC, DIFFERENTIAL, AUTOMATIC LOCKING REAR, AUDIO SYSTEM, CHEVROLET INFOTAINMENT. Alloy Wheels. 3.6L DI DOHC V6 VVT (308 hp [230.0 kW] @ 6800 rpm, 275 lb-ft of torque [373 N-m] @ 4000 rpm), LT CONVENIENCE PACKAGE includes (C49) rear window defogger, (A28) rear-sliding window, (T3U) front fog lamps, (BTV) Remote vehicle starter system, (PPA) EZ-Lift tailgate and (DG6) outside heated power-adjustable, body-color, manual-folding mirrors, TRAILERING PACKAGE, HEAVY-DUTY includes trailer hitch and 7-pin connector, CHEVROLET INFOTAINMENT 3 PLUS SYSTEM 8 diagonal HD color touchscreen, AM/FM stereo, Bluetooth audio streaming for 2 active devices, Apple CarPlay and Android Auto capable, enhanced voice recognition, in-vehicle apps, cloud connected personalization for select infotainment and vehicle settings. Subscription required for enhanced and connected services after trial period (STD). newCarTestDrive.com explains Every Colorado feels well-assembled, using good materials. 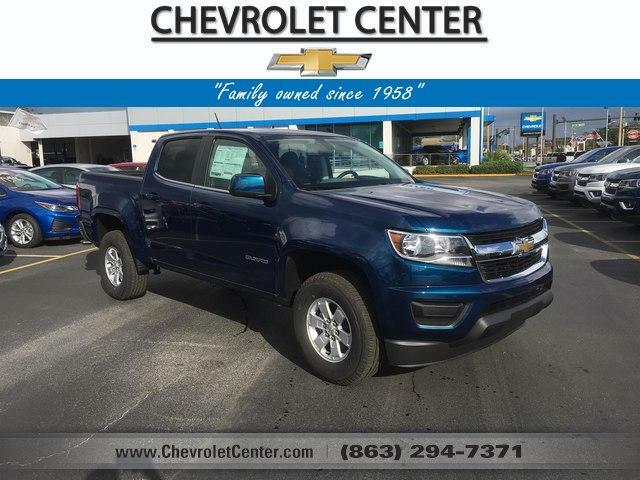 Whatever the trim level, body configuration, and powertrain, Chevrolet's Colorado ranks with the most competent pickups on the market..